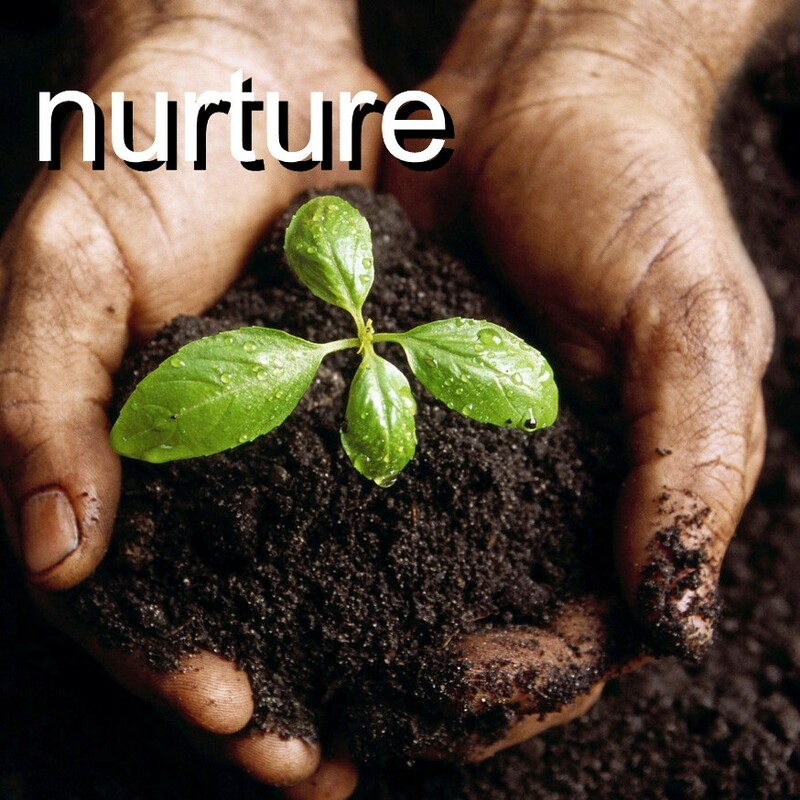 MamaDeanoMusings: The need for nurture. As you have probably realised from previous posts, the last few months have been ones where I have been more dependant on others for more things than usual. My lovely Husbando really has been pulling out all the stops to help me. He cooks, tidies ( sometimes ! ) does all day to day jobs and at the weekends brings me food in bed while I rest and he cares for Little Tyke. It's been an interesting road the past few months as I have pondered a lot what it means to be 'nurtured'. I have needed lots of practical help on and off for the past eight years, but practical help is different from someone or something nurturing your soul........Do you know what I mean ? Towards the end of last year, I reached a point where I needed more than just physical rest, I had been carrying around the stressful thoughts of how to cope with another baby and other day to day life cares and they all kind of, well, got to me more than I ever thought they could. It's a scary place when you have no reserves to draw from emotionally and physically. People say 'well you just do what you have to, to cope when you have kids' and I have always kind of lived by that. But with CFS I have been confronted once again that I can't do that - can't live by that moto. It's been difficult to come to terms with that again. You see, I am a bit of a 'get on with it' kind of person. I love to care for others and probably get too much affirmation from being able to do that, so when it all comes to a point where I cannot nurture and care for others, mainly my Husband and Daughter it kind of rocks my foundations. But I am learning S L O W L Y that no matter how 'capable' you are, practical, organised, a 'can do' person, you still need to be nurtured. Still need help bringing up kids, still need a friend to hear you cry when you feel like you might not actually want to care for baby growing inside you, as it feels too much......... The real nitty gritty stuff which no one likes to say. Our souls need nurturing, sometimes by God's gentle kind words of encouragement, and sometimes by his hands and feet on this earth, our friends and family. For me, not being able to be the Mum and Wife I would like to be is what I find the hardest. And having my husband care for me is, well, tricky for both of us. But, I have to say these last few months I have felt cared for and nurtured by him on a whole other level. My friends and family have done this too, and I realise it has been good for me, through tears and feelings of terror at the day ahead, I need to be nurtured. It's made me ponder showing this need more in day to day life when my energy does pick up a bit more, because, you see, another thing I have realised is largely it's me who has to make myself available to receive care, only through being vulnerable to we show people our true needs, longings and brokenness, can we receive the kindness and care they are waiting to give. Today the sun is out, and I feel like I am beginning to feel ready for this next baby to take our lives by storm, with love, cuteness and the delirium only a newborn can bring. The house smells of fairy non bio as the babygros are washed, and the bottles dragged out the cupboard, all ready for his arrival. I feel ready to meet him, to give what little I have to nurturing his early days, resting in the knowledge that God will be with me, nurturing, holding, and caring for me, at times through His word, and also through the strong and capable hands of my husband ( he does have particularly large manly hands ;) ) and family. Making yourself available to receive care - I love that! All of this is so true.